Here's a little something for you. For free. It's a set of printable sentiments for wedding cards. And they're perfect for busy creatives because you can literally make a card with them in minutes! To make my card, I printed the sentiments onto a sheet of card, cut around them, and mounted them using dimensionals onto a card blank, which I cut from matching card. I then added buttons & a ribbon to finish. They make great gift tags too! They print as a .pdf file on a single sheet of A4. You will need the free Adobe Reader to print them. Don't forget to share a link in the comments if you make something with them. Everyone who downloads them, myself included, would really love to see. We all love lots of inspiration. Please don't be shy! A6 (US) Cream Card Blank cut from Vintage Cream Card. By PTI. 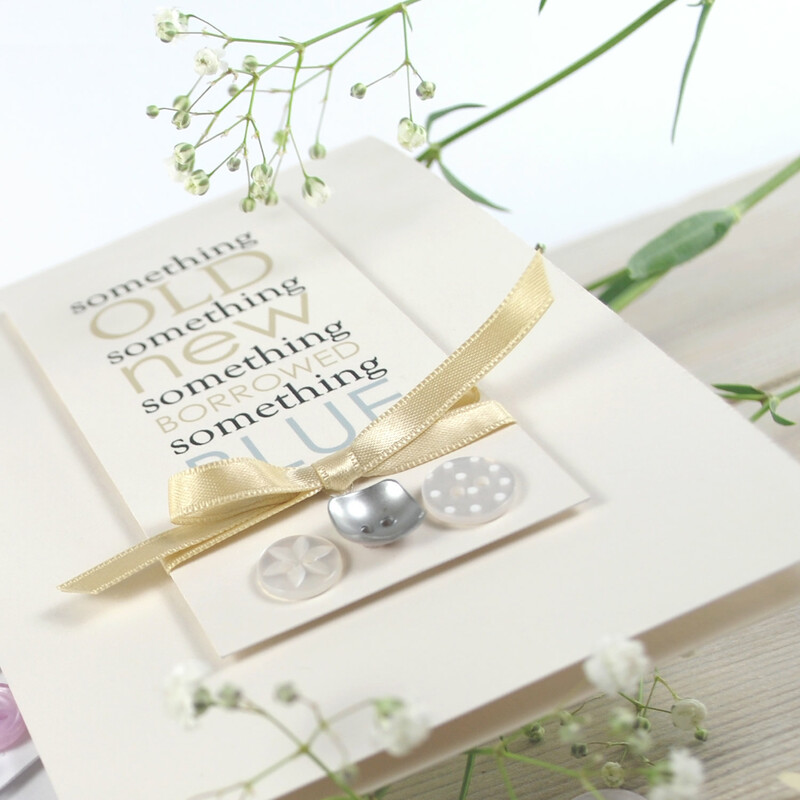 Sentiment: 'Something Old' Free Gift printed onto Vintage Cream Card. By PTI. Thank you Liz - beautiful. these are really neat...i love your style.